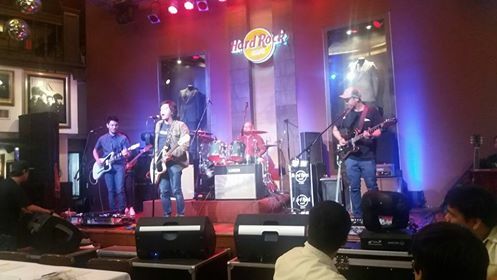 Filipino Society of Composers, Authors and Publishers, Inc. (FILSCAP), the sole and official music copyright society in the Philippines, together with Pioneer, one of the top life and non-life insurance companies in the country, officially launched the FILSCAP Campus Caravan this 2016 in a media event last September 19 at The Hard Rock Café in Makati City. FILSCAP Chairman, Mr. Arturo Lui Pio, FILSCAP President and Singer-Songwriter, Rico Blanco, joined Pioneer Insurance President Mr. Lorenzo Chan, Jr. and Pioneer FVP for Marketing, Ms Len Pozon during the launch. 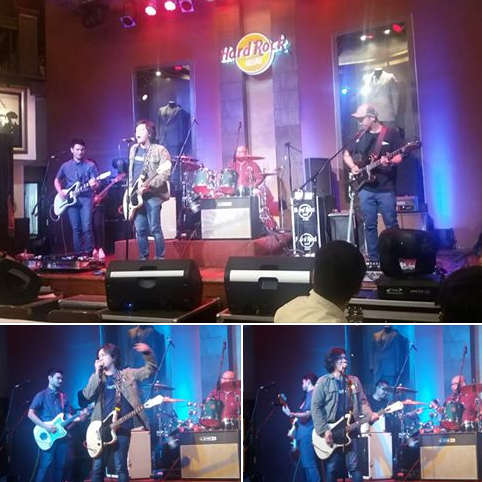 The said activity opened with alternative rock band Sandwich entertaining guests with its live performances. 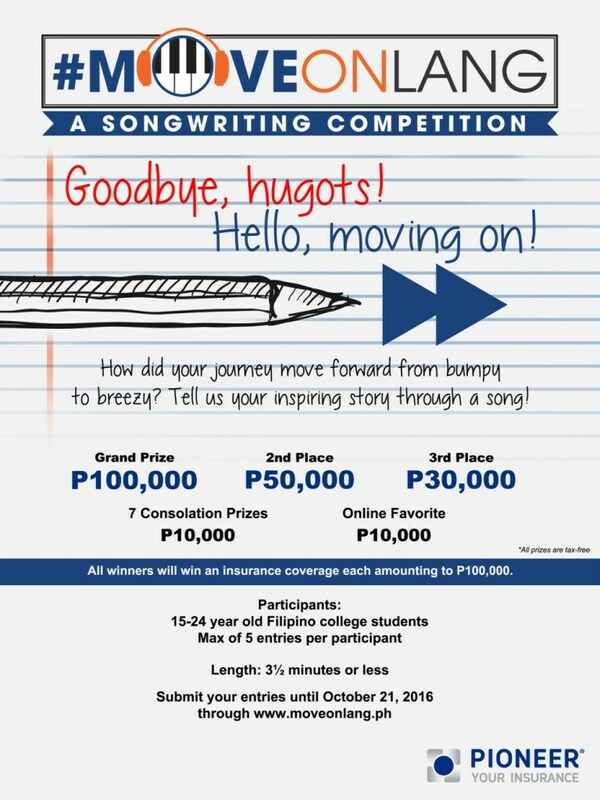 Dubbed as #MoveOnLang, the FILSCAP Songwriting Competition aims to guide aspiring musicians in the different aspects of songwriting. FILSCAP and local music icons will arrange a campus tour to host songwriting workshops in different universities around Metro Manila in support of this competition. The FILSCAP Campus Caravan is set to visit De La Salle University-Manila, San Beda College Alabang, UP Diliman, University of Santo Tomas and University of Makati during its run. Each visit is set to have a songwriting talk to be conducted by FILSCAP, a face-to-face session with a well-known Filipino songwriter, and introduce the collaboration’s second event – the #MoveOnLang Songwriting Competition. 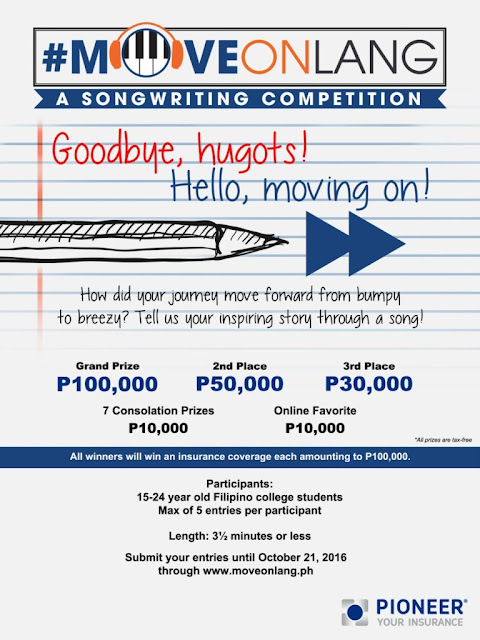 The #MoveOnLang Songwriting Competition aims to give musically–inclined college students a venue to showcase their songwriting skills on the Filipino trait of resiliency – bouncing back from setbacks. Interested applicants can visit www.moveonlang.ph to register and submit their entry. Over P 260,000 in cash will be given away, with P 100,000 being the grand prize. Winners will also receive insurance coverage from Pioneer, while a special prize will also be awarded to the Online Favorite. The Pioneer Group has been a staunch supporter of the arts. Hence, it constantly finds fresh ways to reach out to the Filipino with insurance that covers what they value most. Through finding inspiration in media such as visual arts, film, music, and theater, Pioneer gives back by sponsoring, covering, and promoting these events. Interested applicants can visit www.moveonlang.ph to register and submit their entry.